The current Apple Watch Series 4 assembly partner Quanta Computer is claimed by industry sources of DigiTimes to be at maximum capacity for production at its facility in Changshu, eastern China. 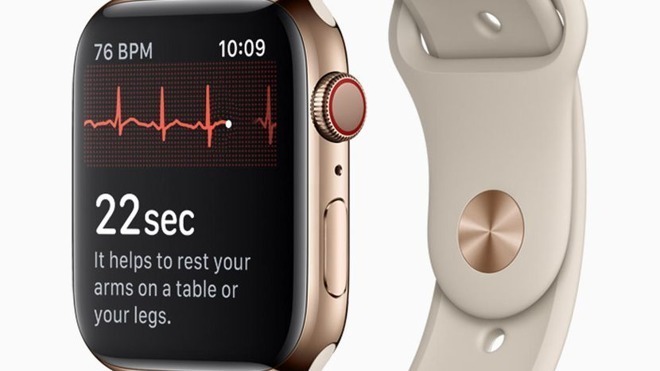 Due to this, the sources believe Apple will be tapping Compal as a secondary supplier of the timepiece in the near future, with mass production in its factory set to commence sometime in November. Quanta and Compal declined to comment to the report on the manufacturing status of the device. This will not be the first time Compal has been brought in to the Apple Watch manufacturing pipeline. Reports ahead of the Series 3 launch noted the company was brought in to work on the device, handling the production of older-generation models while Quanta concentrated on the new releases. The high shipments of the Apple Watch Series 4 are exceeding expectations, with TF Securities analyst Ming-Chi Kuo recently suggesting as many as 19.5 million units to ship before the end of the year, up from a previous estimate of 18 million. This would also represent a major increase in shipments compared to the second quarter of 2018, where global shipments for the period are thought to be around 4.2 million. In early September, the IDC Worldwide Quarterly Wearables Tracker claimed 4.7 million Apple Watch shipments in Q2 2018, providing Apple a 17 percent share of the market, and making it the most popular wearables company in the world.